When you’re hoping to entertain yourself at home, there’s no room like an entertainment room. The center stage for your television and all your electronics, your TV room can be your oasis—your retreat for you and your friends—if you furnish it the way you want it. 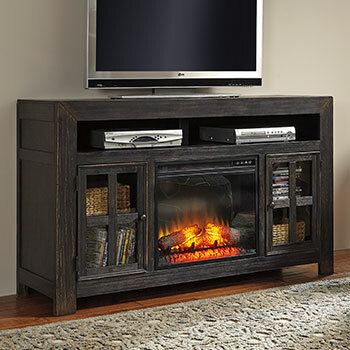 Here at our furniture store in Lexington, SC, we’re dedicated to doing just that, with the finest selection of TV stands, entertainment centers, and corner TV consoles for sale, from the best brands, at the best prices. Now imagine you owned one of the best TV consoles on the market. With plenty of space for all your Blu-rays, DVDs and gaming systems, you’d never lack for a reason to spend the evening in your entertainment room. Now what if that TV stand was on sale in the exact color and style you wanted, matching your existing entertainment furniture? Whether you prefer a more modern or a more traditional TV stand, finished in cappuccino or glossy white, we give you every option at an exceptional price point. 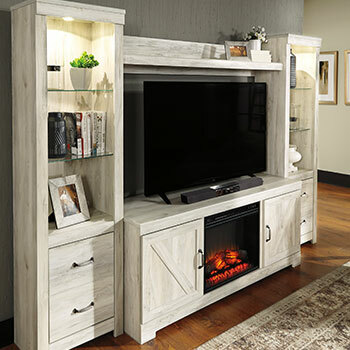 If you’re more serious about your entertainment furniture, and your interior decor, you may have already thought about the possibility of an entertainment center of your own. We assist you here as well, offering the perfect selection of functionality, affordability and design. 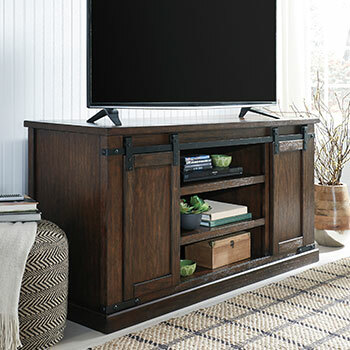 Grab a discounted entertainment center that’ll handle a 60” LED television, while matching the rest of your TV room decor. Since we’re always catering to you—the savvy homeowner—we do everything we can to ensure that we have the entertainment furniture that you need. Struggling to fit a TV console into the upper left corner of your TV room? 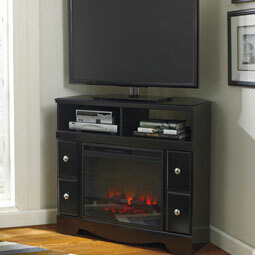 Wishing you could find an entertainment center designed for corners as well? 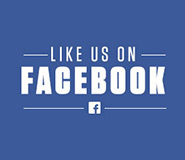 You’re in safe hands at the Council’s Mattress and Furniture store in Lexington, SC, where the diversity of our selection and customer satisfaction are our highest priorities. Visit our showroom to sample our inventory for yourself, any day of the week.